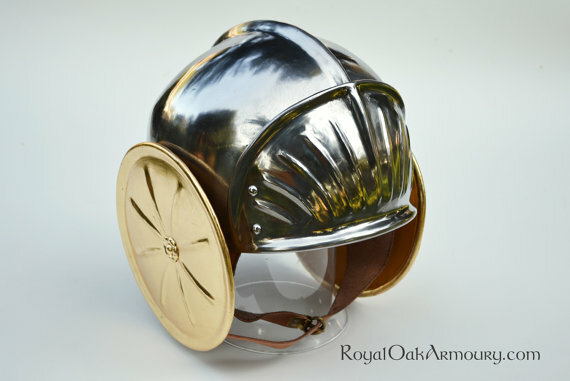 This item is a faithful reproduction of a helmet depicted in a Lucas Cranach the Elder painting from 1538. 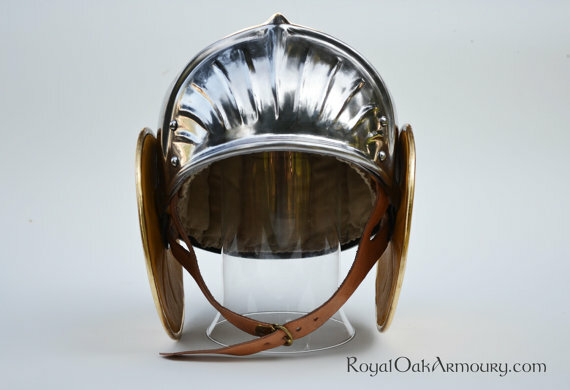 The helmet shown was raised from a single sheet of 1050 spring steel, with applied rondels and brow reinforcement, and was then heat-treated and gilded. 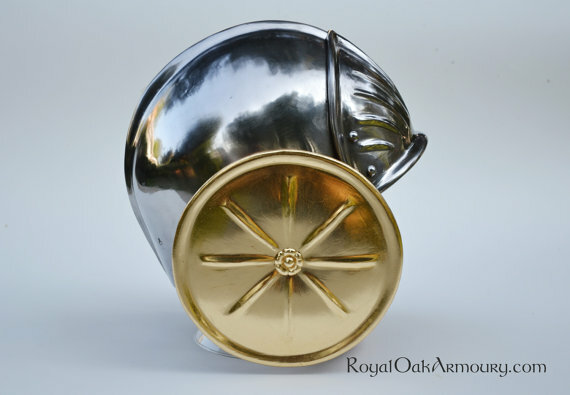 We would be happy to provide the same helmet at a lower cost in mild steel and with a welded skull. 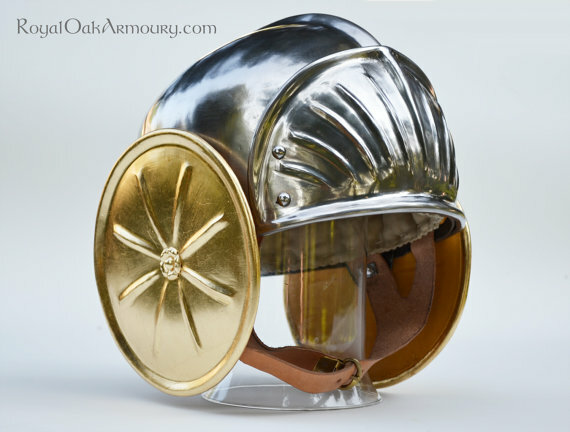 The helmet is provided with a liner and a period-specific buckle. The liner is made of pure linen, is padded with wool and hand-quilted. The liner can be removed for washing and stitched back to the leather band riveted inside the skull of the helmet. 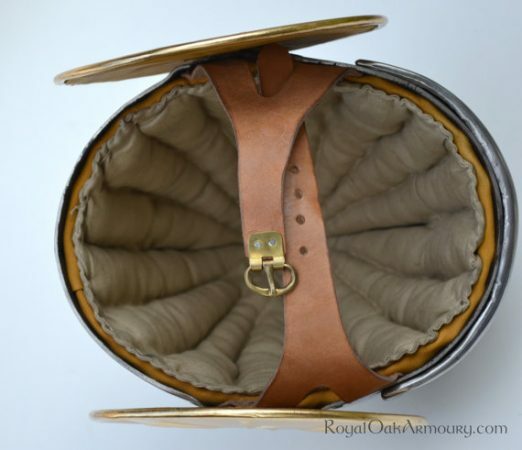 The chin-strap is of veg-tan leather and comes mounted with a hand-made buckle.